Dubai: The young Emirati boy who greeted Pope Francis upon his arrival in the UAE has been making headlines in the international press. 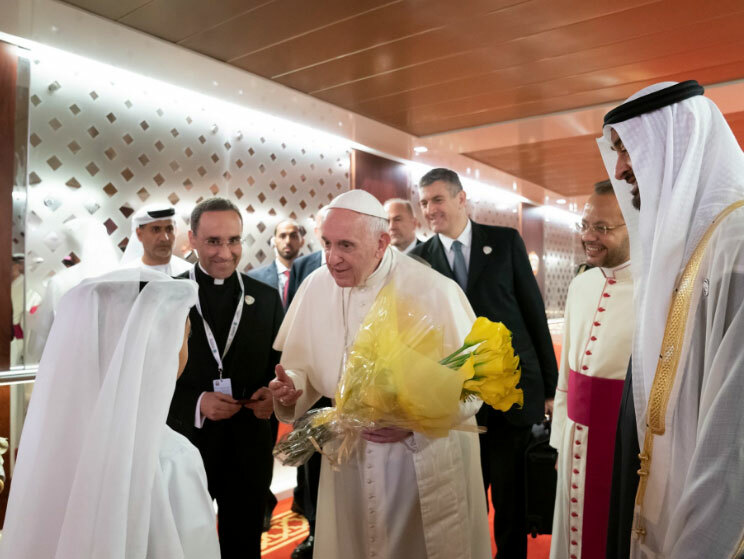 Pope Francis, the head of the Roman Catholic Church, began the historic visit to the UAE on Monday and after performing mass on Tuesday to over 180,000 faithful at Zayed Sports City, departed back to Italy. But during the last two days of the Pope’s visit, the story of 12-year-old Ahmad Al Fahim made waves on social media after he surprised the pontiff at the Presidential Airport in Abu Dhabi by speaking to His Holiness in fluent Spanish. “God praise #Ahmad_Alfahim for his Spanish and his high confidence in himself, this is an important moment. We are all proud of him and may he one day become the UAE Ambassador to Spain,” said @Noorahdubai1. The Agencia Catolica de Informaciones, which is the Spanish version of the Catholic news agency, uploaded the endearing footage of Al Fahim talking to the pope at the airport, while accompanied with His Highness Shaikh Mohammad Bin Zayed Al Nahyan, Crown Prince of Abu Dhabi and Deputy Supreme Commander of the UAE Armed Forces. “Buenas noches Su Santidad. Es para mi un placer darle la bienvenida a mi pais… espero que disfrute y se sienta en casa,” said Al Fahmi, which means: Good evening, your Holiness. It is my pleasure to welcome you to my country ... I hope you enjoy your stay and feel at home. “Te felicito por el espanol [I congratulate you for the Spanish],” replied the Pope, as he handed over a small medal to the boy.